Dogs can be people’s best friends. They are one of the most popular pets to have in your home because they are such great companions. With so many different dog breeds, there is a dog for everyone. Due to their ability to be house trained, they are common among families and can pick up the temperament of the people surrounding them. If a family trains their dog to act in an aggressive manner, their dog may become vicious toward other people. If you have been a victim of a dog bite, you can take action against the owners. While some dogs may look cute and cuddly, owners could have taught them to be defensive and harm others. This kind of training may result in an incident where someone else’s dog has caused harm by biting you. If you are a victim of a dog attack in New Jersey, seek legal advice in order to be compensated for the damages. Untrained dogs or dogs that are trained to be vicious are the responsibility of their owners. When a dog harms you, their owner should be held accountable for failing to keep their pet under control. If a case is brought to court, a judge has the power to declare an animal dangerous and decide on possible euthanasia. How do I seek liability? One of the most important things to do after getting bitten by a dog is to seek medical attention from a medical professional right away. You should get your wound checked in order to make sure that the dog did not have any kind of virus or disease. Dog attacks can cause serious injuries. This may consist of ripped skin, torn tendons, deformities and more. When you get medical attention, this will help to collect evidence for your case as well. You should then seek out the dog’s owner. Collect information about the owner. This information should include their name and address. Then you should ask for further information about the dog. Ask if the dog’s shots and vaccinations have been kept up to date. Check what type of breed the dog is. If anyone witnessed the incident, seek their contact information in order to corroborate your story later on. There are laws regarding dogs that owners must follow. When in public places, owners must keep their dog on a leash and they must be in control the whole time. Dogs cannot walk around freely in public places, such as parks. Owners should be paying attention to their pets to ensure that they are acting in a non-aggressive manner. 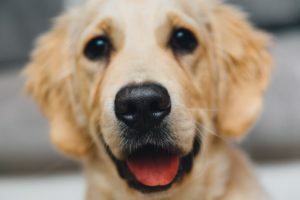 New Jersey has strict laws regarding dogs that require their owner to register them and make sure they are up to date with their rabies shots. Owners will be held liable for any damages that occur in the event of a dog attack. However, if it can be proven that the victim was the one to instigate the attack, then the same accountability does not apply.